Being a safari guide doesn’t follow the typical 9 to 5 schedule. By the time you arrive at your office in the morning, they’ve already returned the guests back to camp from a 3-hour game drive. While it seems like a wonderful and romantic job, with sunrises and sunsets and lions and elephants all around you, there is much more that goes on behind the scenes. Repairing flat tyres, managing guest expectations and warding off snake and baboon intruders are a few of them. Are you wondering what it’s really like to be a safari guide? Here are 8 behind the scene secrets about the realities of life in the bush. 1. People skills are most important. The biggest part of being a guide is working with people. You can have a wealth of wilderness knowledge, but if you bore your guest to tears, it won’t take you very far. As a guide, it is your responsibility to enhance the experience for people when they go on safaris. It starts with learning the names of your guests. 2. It can take over a decade for a safari guide to reach the top qualification. The learning never stops. 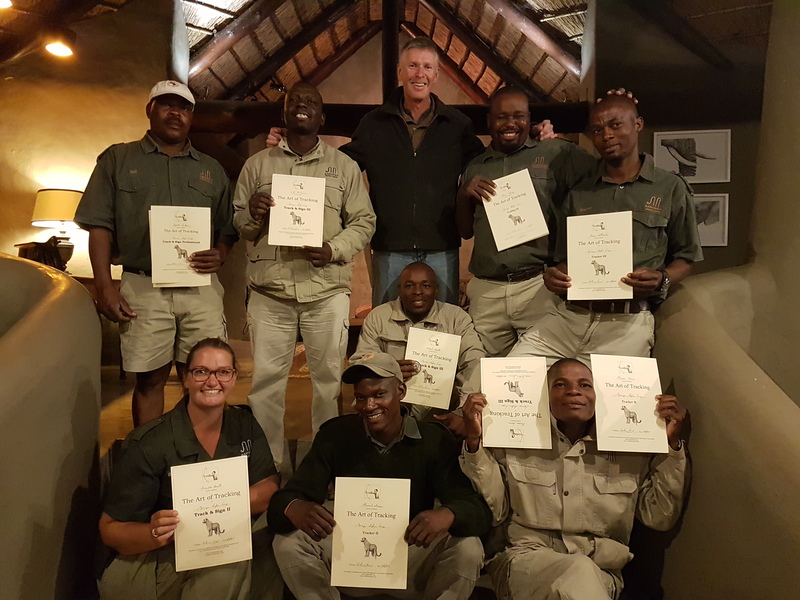 The only way to progress in the field is by obtaining the qualifications that are set by the Field Guides Associations of South Africa. Reaching the top qualification can take up to 15 years of studying and practical work experience. 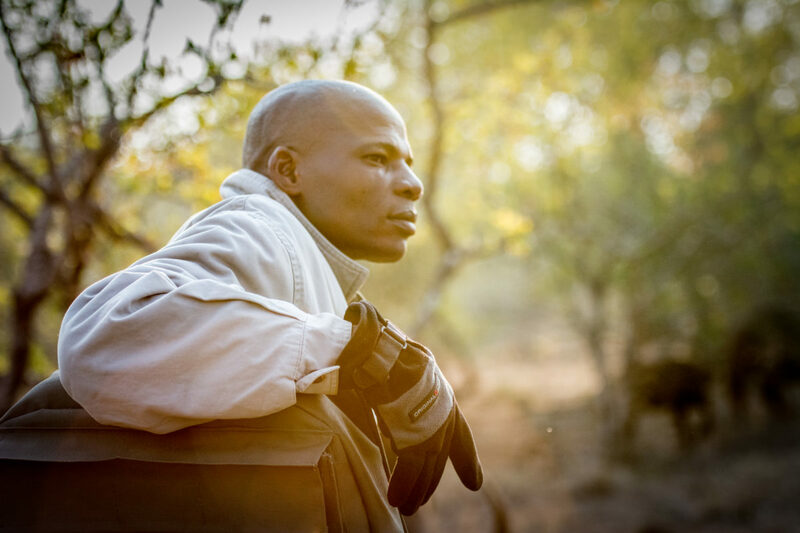 Each year at Garonga, Adriann Louw conducts an intensive Track and Trails guiding course with the guides and trackers over 5 days. It may seem like a short while, but the transformation that takes place is overwhelming. This year head guide, Jaffet, maintained his Tracker Level 4 (senior status) but with even better results. He mentored the remainder of the team who also achieved excellent qualifications. 3. Patience is a non-negotiable. If there is a characteristic a safari guide must have, it is patience. Patience with animals and patience with people. 4. The all-khaki dress code is sort of a lie. Truth be told, most animals see in black and white. So, you don’t have to wear khaki from head to toe on your next safari but it may be one of those fun things to do! Having said that, keep the lumo, reflective outfits for your time in camp instead of sporting them on a game drive. Many birds and some creatures are sensitive to colour and may see you as suspicious instead of one with their environment when they spot you out in their wilderness. 5. Guests’ excitement can be contagious. 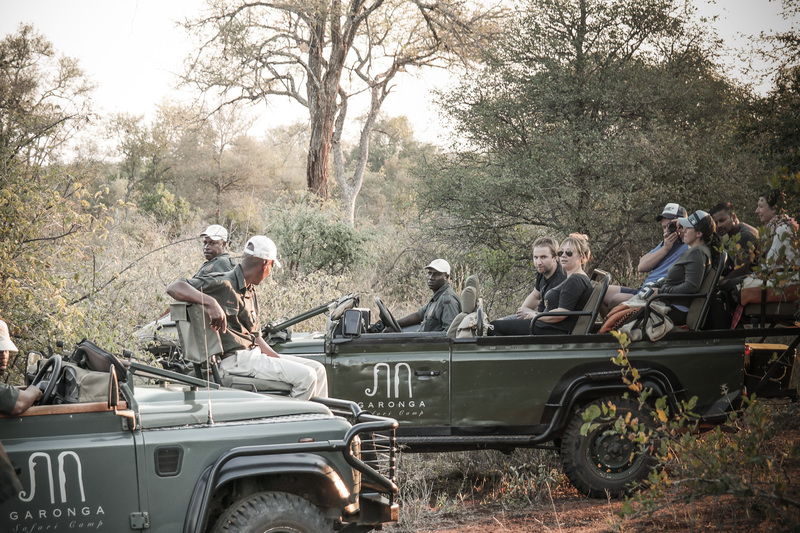 The beauty of being a safari guide is the ability to see the bush through the guests’ eyes. There’s a specific sparkle about it. The smiles, questions and enthusiastic reactions are constant reminders to never get too complacent. So future guests, remember that your excitement is infectious to those around you, especially to the ones in the driver and tracker seat! 6. Being mechanically savvy comes in handy. There will be plenty of flat tyres and the lazy lions who enjoy 20 hours of sleep a day certainly won’t offer their help. If your vehicle breaks down in the middle of nowhere, you have to know how to fix it or you risk getting stuck. 7. Early morning and late nights are part of the job. 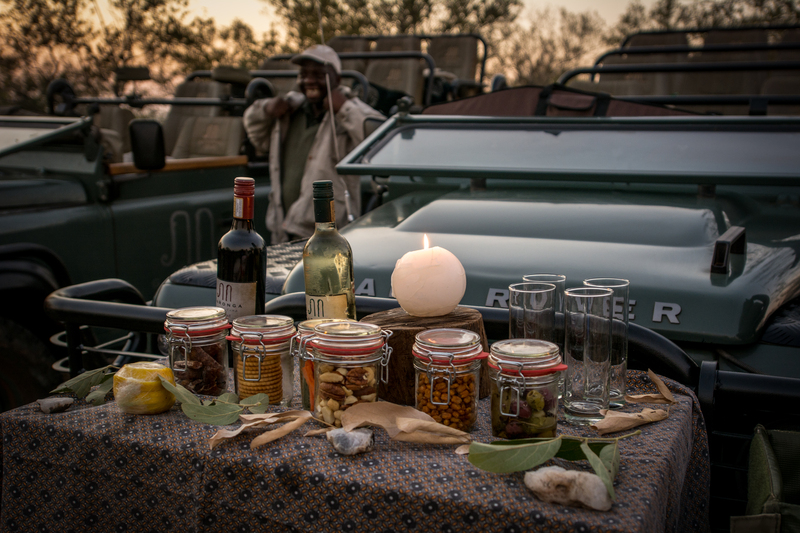 Safaris run on a specific schedule for a reason and it is the guide’s job to make sure the guests are ready on time. They will wake you up in morning for the first game drive of the day and often stay up to wish you a good night’s sleep after dinner. They are not just guides, but caring hosts that look after every aspect of your stay. 8. They are great mixologists. When the sun sets, this is when your guide gets to really show of their skills. First, they will stop the vehicle at one of the most scenic spots in the reserve. Just when you think the moment can’t get any better, they’ll offer you an ice-cold beer, glass of wine or a classic G&T as you watch the egg-yolk sunset disappear behind the horizon.